Want to take time to Listen to God? Hoping to “Dig Deeper” into your faith and into God’s word? 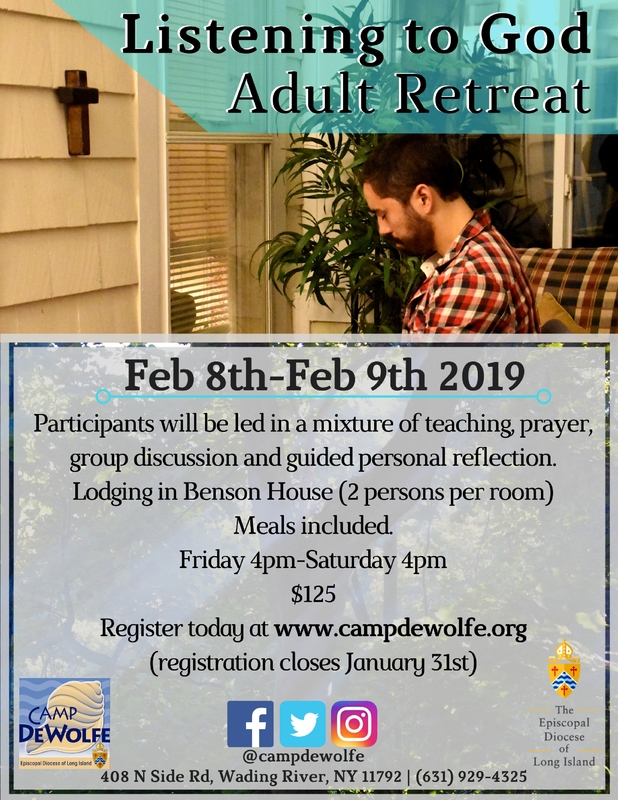 The “Listening to God” Retreat is a 24-hour overnight retreat in February at Camp DeWolfe. There is an option to extend for a 2nd night for rest and renewal. Participants will be led by a trained facilitator, in a mixture of teaching; prayer, sharing and reflection times in order to discern God’s voice. This Adult Retreat is open to anyone over the age of 18 years.